Happy Birthday, Dr. Seuss! 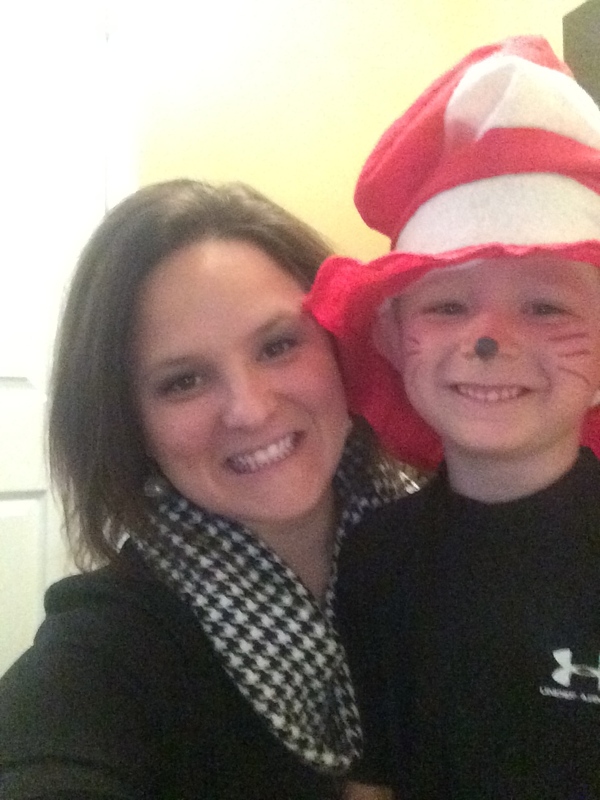 In honor of his birthday, schools across America participated in Read Across America Day. Our district logged more than 100,000 minutes of reading today, which is unbelievable!! 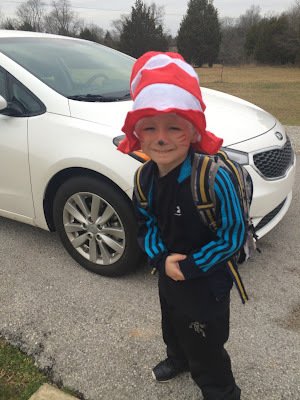 Individuals schools did a lot of fun activities to celebrate, so today Eli got to dress up as his favorite Dr. Seuss character. In hind sight, he should have been the Grinch, but he was happy to be the Cat and the Hat. I must say that he was stinking adorable. 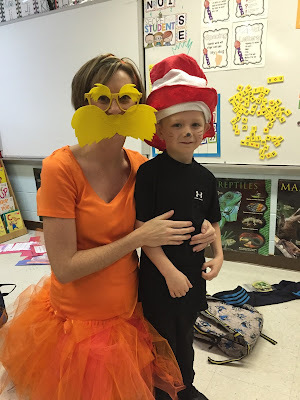 His teacher dressed up as the Lorax, and sent me this picture while I was at work. It made my whole day. Ya'll I can not say how much we adore this woman. She is such a blessing to our family and loves her students so well. She believes in each one of them and makes them all feel so loved. Tomorrow is crazy hat day, so we will see what we can come up with.